Drew and his team did an outstanding job in selling our home in the Meadowbrook area. I was referred to Drew because I was told he was one of the top Realtors in Birmingham and he definitely lived up to the billing. He kept us constantly up to date during the entire process and sold our home for a great price. I would highly recommend him to anyone looking to sell a home. Drew without a doubt takes service excellence to an exceptional level. I've had experience with other agents over the years and was never impressed with the level of service we received until we met Drew. Drew ALWAYS made himself available for my family and helped us with so many aspects beyond selling our home and purchasing a new one. Drew was attentive to our needs, provided timely responses and went above the scope of his responsibilities as our agent to assist my family in any way that he could. As a business person myself with high expectations, I find his qualities to be critical in the business world and was very impressed with the way that he conducts business. As a client, I felt that Drew not only held considerable knowledge within the market but was able to answer questions I had with financing our new home and insight from another perspective from someone that did have my families’ interest as a priority. Drew is not just an exceptional business man but a good guy in general. I had a great experience purchasing my first home through Drew. Based on budget and interests, he sent me weekly emails of potential houses, which I greatly appreciated. He also was very responsive and timely in following up via email or phone. To say it simply, he made buying a house as easy as it should be! Drew was everything we could have asked for in an agent...knowledgable, friendly, professional, accessible & eager. He went above & beyond to get our house sold. Even going so far as to run by & tidy up the place before a showing when we were out of town. We couldn't be more pleased with the service we received. 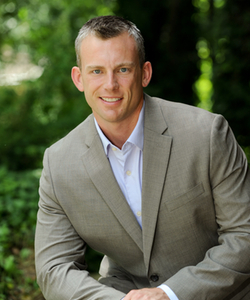 Drew is a family man and an experienced and trustworthy real estate professional. He is, also, very personable and working with him was a pleasure. Drew is very knowledgeable about the area and helped me look at many options. As well as negotiating a great price and providing a great experience in this entire process. Willing to accommodate our schedule and was willing to devote his time and efforts to help us find exactly what we were looking for. Based on properties I selected to view, he suggested other properties similar in space, design and price. Made our entire process easy including negotiating a contract and finding suitable financing. Drew Taylor is very knowledgeable in the area of real estate. He helped me tremendously in more ways than one. He was quick to respond to questions and easy to work with meeting you at times that are most convienent for you. Excellent real estate agent! Drew Taylor and his team did a great job for me in selling my home in Eagle Point. Drew was the 3rd Realtor that I hired and he went to work to market my home and got it sold in a timely manor. I would highly recommend Drew and his team. They are true professionals.